The assault on Shy’s Hill, during the Battle of Nashville, broke the back of the Confederate left and spelled doom for the Rebel army. Today, December 15, 2014 was a foggy morning in Nashville, much like it was that cold December morning in 1864. 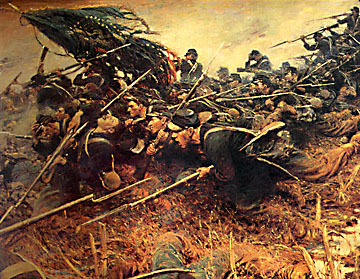 Of the six men Bierce was with that morning, when he wrote his memoir of the battle, he was already the sole survivor. Today there are none; even their children’s children are few and far between. That fifteenth of December the hills surrounding what is now downtown Nashville erupted in a massive bombardment as the big guns of Fort Negley and the other Union hilltop forts burst forth against the starving and shoeless troops of the Confederate Army of Tennessee. On December 15-16th, The Army of the Cumberland, under General Thomas, launched their counterattack, virtually annihilating the once proud Army of Tennessee. 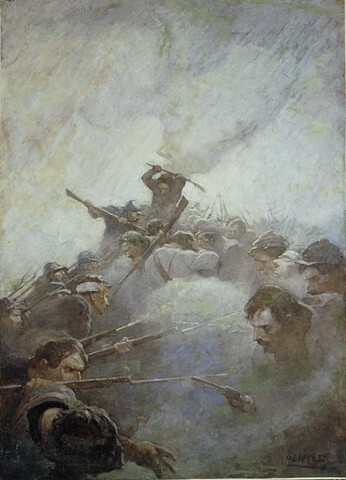 Outnumbered and lacking the abundance of munitions and supplies the Federals enjoyed, the Rebels initially resisted the massive blue onslaught. On the far right flank of Hood’s army, the Confederates repulsed an attack by regiments of the United States Colored Volunteers. Elsewhere, the Rebels were not so successful. General Thomas, the Federal commander launched a massive assault against the Confederate left flank, throwing all of Wilson’s Cavalry Corps, backed by large numbers of infantry. The Army of Tennessee was overwhelmed and where yuppie suburbanites now throng Green Hills Mall, masses of blue and gray fought that day to the death. One by one the Confederate redoubts fell to the Union tide, relentlessly driving the Rebels back. The following day, the sixteenth, Johnnies continued to resist, but as the day wore on the weight of numbers began to tell and finally the once proud Army of Tennessee broke–shattered is more like it. Confederate units that had gone toe to toe with the Yankees at Shiloh, Stones River, Chickamauga and Atlanta now fled helter skelter or surrendered. For the one time in the entire four years of war, a Confederate army was thoroughly and completely defeated. Stanley Horn, a pioneering historian of the war in the western theatre, described the Battle of Nashville as the “Decisive Battle of the Rebellion.” While later historians have not always been in agreement with Horn, there is no denying the magnitude of its success. Contrary to what one recent scholar said of Gettysburg, it was Hood’s Autumn Campaign and the Battle of Nashville which were in fact “the Last Invasion” by the Confederacy. 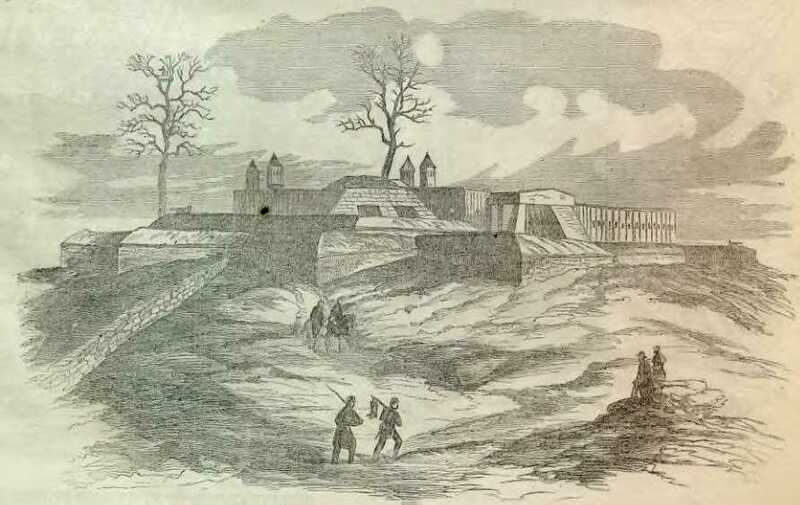 Fort Negley, the strongpoint of Union defenses, fired the opening salvoes of the battle. The fort was notable for being the largest stone fort constructed by the North during the war. Most modern historians have regarded Hoods invasion as doomed from the start; certainly it was a desperate gamble. John Bell Hood himself described it as a “Forlorn Hope.” But despite all the mistakes by Hood, the broken promises made to him by Jefferson Davis and General Beauregard, the fact is that he and his men came very close to destroying at least part of General Thomas’ army at both Spring Hill and Franklin. Moreover, if historians regard the Battle of Nashville as a forgone conclusion, the Lincoln administration–and in particular General Grant–did not. The prospect of taking Nashville and its treasure trove of munitions and supplies, would have emboldened the entire South and enabled Hood to march on the Ohio Valley and beyond–a prospect that sent shivers down the Federal’s collective spine. 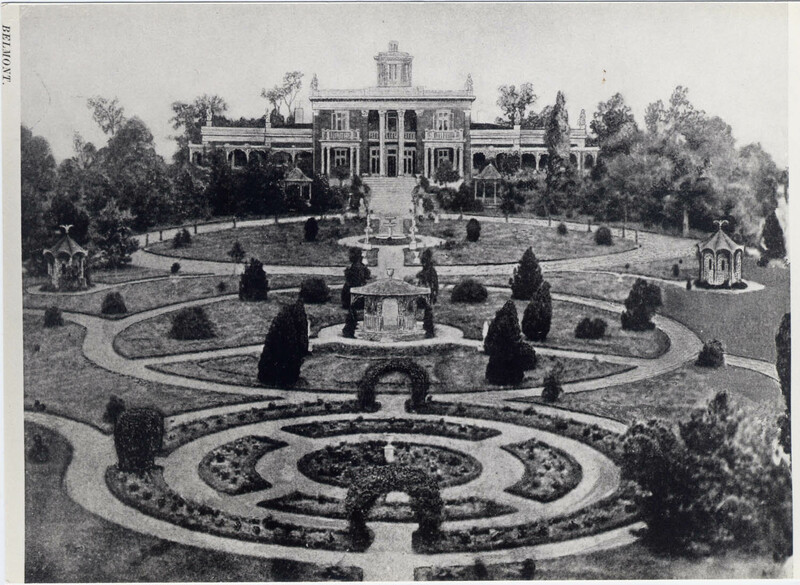 Belmont Mansion, the humble abode of Adelicia Acklen, was headquarters of the IV Union Corps during the Battle of Nashville. It is true that the Civil War was won in the East, when General Lee surrendered to Grant at Appomattox in April of 1865; but it is also true that the Civil War was lost the winter before, in the West, at the Battle of Nashville on December 15 and 16, 1864. For more on the Civil War in Tennessee, see Strange Tales of the Dark and Bloody Ground and Ghosts and Haunts of the Civil War, both published by HarperCollins.